My ramblings about this thing called life. I am reading “Glad No Matter What Transforming Loss and Change Into Gift and Opportunity”, by SARK. SARK writes how all of her life she has heard people say to her, “Oh you’re just such a Pollyanna. Pollyanna is thought of some kind of positive ninny who naively tried to disregard the “tough times”. 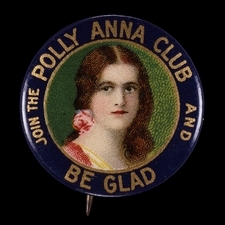 SARK continues to describe Pollyanna as the fictional story of a young girl whose parents had died, and she was sent to live with relatives she didn’t know in a small town, thereby inventing “The Glad Game” and relentlessly found good in every situation even though she was living through her own touch times. By doing that she transformed the town. We shouldn’t disregard pain, sorrow or suffering by finding gifts and gladness in every situation, it means that you choose to see the gift in every situation and believe it’s always there, SARK says. If you choose to find and see “the BAD, then you will. You have already set up and determined that you will see bad in a or an upcoming situation. SARK continues by saying that people practicing and sharing gladness are Gifts to the world, no matter what circumstances are happening. I have chosen to also live my life as a “real” Pollyanna and share a life made of goodness and gladness with the world. YEE HAW!